Assam Film Society headquartered in Jorhat of Eastern Assam felicitated state’s best film critic awardee Pranjal Borah on Thursday night. The award was for the year 2016-17. Borah, in the interactive session said that he would like to be looked upon as a film activist rather than a critic as promoting and watching good movies was his passion. Borah, who is the secretary of Assam Film Society, further said that he hoped that environment of film criticism would grow apart from reviews. “At present what is mostly done is film reviews instead of film criticisms. I would like to change this,” Borah, who had earlier also bagged the Prag Cine award for best film critic said. 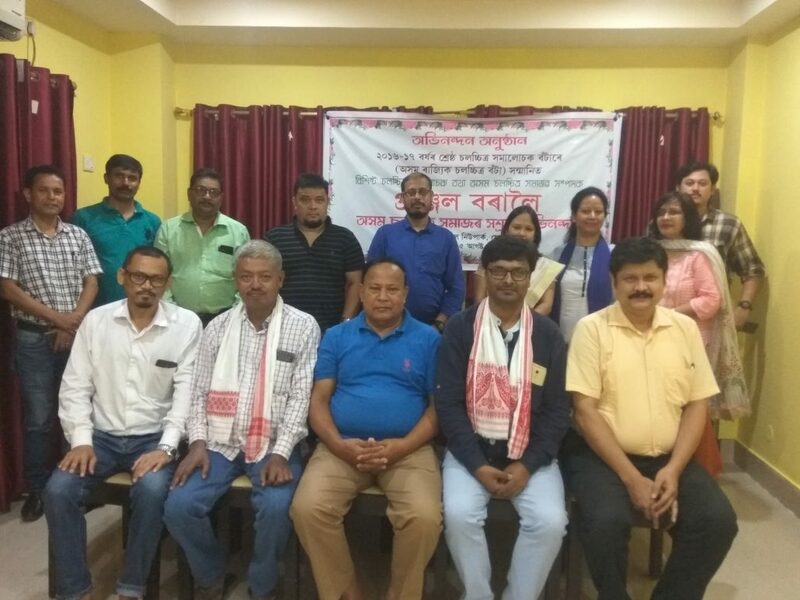 General secretary of Assam Film Society, Jayanta Madhav Dutta said that apart from the avowed objective of promoting the appreciation of good films among the masses, the Society was planning to open a research centre on films. Dutta said that the research centre would try to involve youths and veterans in research on every aspect of film making. Dutta said that the state scenario in filmmaking was looking up with such good movies like ‘Calendar’ by Himjyoti Talukdar, ‘Gold’ by Rima Kagti and Rima Das’ ‘Village Rockstar’ had created waves at home and abroad. He said that it was a good sign that a new generation of film makers had come up who had the potential to make good movies.